The maximum value of gifts sent from the Channel Islands to the UK without incurring VAT has dropped. 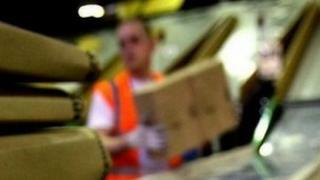 Items worth more than £36 sent from the islands will incur VAT from 1 January 2013. The limit was £40. A gift is defined as an item sent between two private people, such as a birthday or Christmas gift. Jersey and Guernsey Post allow people to pay the VAT in advance so that the recipient is not charged by the UK Post Office. A spokesman for Jersey Post said the recipient could have to pay the VAT and an £8 charge set by the Post Office, if the sender did not pre-pay for the item. VAT is charged on all commercial parcels sent from Jersey to the UK after the end of Low Value Consignment Relief in April 2012. This loophole previously allowed for commercial items worth less than £15 to be sent VAT free. HM Revenue and Customs says the change is due to a revaluation of the euro compared to the pound.